Local capacity building has today become a mantra in the field of international development, especially in the context of healthcare. This was not the case, however, when International Medical Corps sent its first mission to war-torn Afghanistan in 1984. As current head Nancy Aossey explains, the prevailing opinion was that you couldn’t simultaneously provide relief and build local capacity in such an unstable environment. International Medical Corps challenged that notion. Founded by Robert Simon, the organization targets conflict zones, gathering local personnel from the most remote and underserved regions. After their nine-month training, these health workers are able to diagnose and treat 75-80% of injuries and illnesses in their local communities. 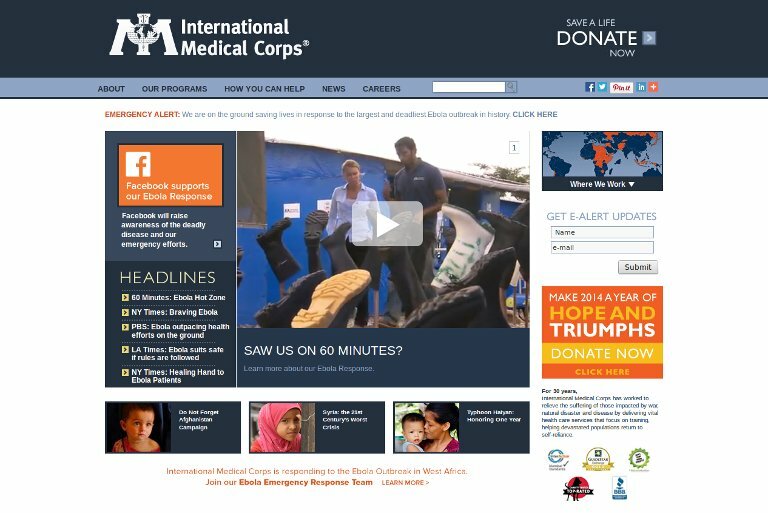 Training is at the core of every program implemented by International Medical Corps. The organization has expanded its activities across thirty countries, including recently establishing the first midwife and nurse training school in South Sudan, as well as reviving a hospital in Western Darfur to serve the critical needs of the internally displaced population. With 96% of its field-based staff and health professionals drawn from local communities, International Medical Corps is committed to ensuring that skills and knowledge are passed on to contribute to sustainable long-term development.